Do you cringe each month when your utility bills arrive? The annual energy cost for a typical single family home in the U.S. is more than $2,000, according to the U.S. Department of Energy. If you can think of a thousand things you’d rather spend your hard-earned money on than electricity and natural gas, the solution to saving on energy costs is easier than you think. While you might assume the numerous electronic gadgets you own drive your high utility bills, the real cost culprits are your furnace and air conditioner. Space heating and cooling account for 42 percent of home energy costs — double what the typical home spends running its electronics and small appliances. What’s truly unfortunate is much of the money spent on heating and cooling homes is wasted, as heat leaks out of your home in winter and comes in during the summer. The reason? 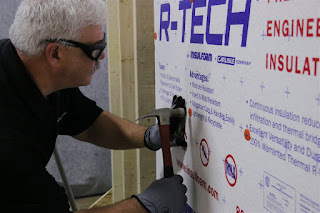 About 90 percent of U.S. homes are under-insulated, according to the North American Insulation Manufacturers Association. Ending your suffering from high energy bills can be as easy as tackling a few, simple, do-it-yourself insulation projects. Key areas to insulate are your home’s attic, basement, crawl space and garage. Read on for tips on insulating these spaces to improve your Keller home’s energy efficiency and comfort, while putting money back in your pocket. As heat rises and many attics are un-insulated or poorly insulated, the attic is a good place to start for making your home more cozy and cost-effective. Insulating your attic is a weekend type project that can be completed within a 2 day span. Many contractors and homeowners use loose-fill insulation or fiberglass batts in attics. Although these materials are easy to work with, it is difficult to ensure they do not leave gaps through which heat can escape. And, since they are designed to fit between the joists in the attic floor, they leave the joists un-insulated, which provides many places for heat to transfer from the home into the attic. An alternative that is also easy to work with, and that provides continuous insulation, is rigid foam panels. Among the rigid foams, expanded polystyrene (EPS) provides the highest insulating power per dollar. EPS panels are simple to cut to size, without creating mess, are recyclable and can be installed throughout your Keller home. In addition to insulating your attic, it’s important to make sure the bottom part of your home is energy-efficient. In the attic, rigid foam insulation boards can readily be cut to size and installed on basement walls. While insulation can be applied to the inside or outside of a basement wall, for existing homes it is typically much easier to install it on the inside wall. This avoids having to move dirt away from the foundation and back-fill once the insulation is in place. Garage doors tend to be un-insulated. DIY insulation kits empower Keller homeowners to insulate a garage door inside of an hour, for less than $100. The task involves placing panels firmly between the door's and horizontal rails. With a few simple DIY insulation projects, homeowners can save hundreds of dollars every year. Instead of spending too much on heating and cooling, you’ll have extra money for fun things like eating dinner out or taking a well-deserved vacation. On your most challenging days you can always count on your pet to greet you at the door when you come home or cuddle up in your lap in the evening. 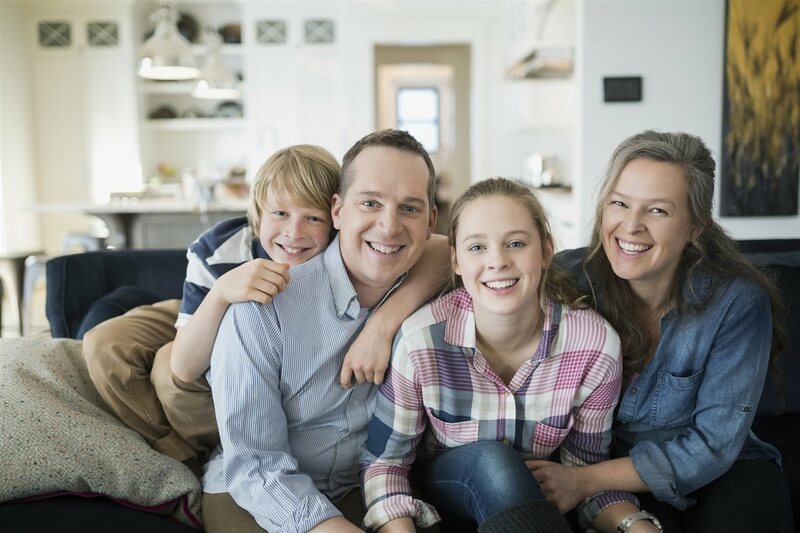 They are a vital part of your home life all year long, but when your life takes you away from home — as it often does during summer travel — are you thinking of them before you head out the door? 1) Find a quality pet sitter. Dogs need to be walked and let out during the day, so when you’re gone, you’ll need a pet sitter to fill these duties. 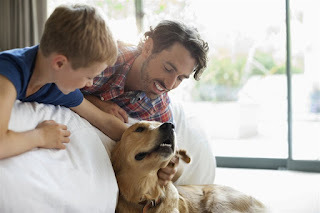 Finding a quality, reliable pet sitter can be the difference between a happy pet and damage to your Keller home when you return. Try to trade sits with a fellow pet owner, and if that’s not possible, ask around for reputable suggestions. 2) Be mindful of the temperature. Knowing the temperature patterns in your destination city plays a big role in how you pack, but have you looked at what the weather has in store for your home while you’re gone? Allowing your home to get overly hot while you’re away isn’t good for your pet. You can control the temperature in your Keller home — even while you’re away — with digital thermostats. WiFi-enabled smart thermostats provide more than just comfort, they monitor the temperature in your home, allowing you to always be aware of your home’s temperature. And best of all, they're completely controllable from your smartphone, so even if you forget to make adjustments before you go, resetting the temperature in your home is just a click away. 3) A little cleaning goes a long way. Your pet really isn’t that different from you; they appreciate a nice clean area to live in as well. Give it to them before you go by making sure the litter box or the yard is clean and that you’ve picked up as much clutter as possible. Wash the blankets that adorn their favorite sleeping places and make sure the space is ready for their use. 4) A little TV time. If commotion is the name of the game in your home, a house that is suddenly too quiet could have a negative impact on your pet. To alleviate this concern, leave the television on in one of the rooms so your pet can enjoy a little noise in the background. Just make sure you choose a room that is different from where your pet often sleeps so they can comfortably avoid the sound if they want to. 5) Leave a little bit of yourself. Is it possible to be in two places at once? In some ways yes. Leaving items out that smell like you — laundry or blankets, for example — can be a wonderful source of comfort in instances when your pet is feeling stressed. Just remember that if your pet likes to chew, these items could be their first target, so only leave things you’re comfortable losing. Having a pet doesn’t mean you need to put your summer plans on hold, it just adds another layer to your planning process. Apply the tips above, and you and your pet will be happy and comfortable until the trip is over and you’re reunited. Across the U.S., the housing market is picking up pace moving into the peak of the summer homebuying season. In city after city, home prices are on the rise, up 2.3 percent on average between April 2017 and 2018, according to the RE/MAX April 2018 National Housing Report. And there are fewer houses on the market to choose from, with total housing inventory down by 11.3 percent. What’s fueling the demand? More members of the millennial generation entering the housing market, among other factors. If you’re ready to stop renting and start enjoying the benefits of home ownership, finding the perfect Keller home within your price range can seem daunting, especially in a seller’s market. Keep these things in mind to find and close on that special home. The interest rate of your mortgage matters a great deal. Even a fraction of a percentage can add (or subtract) thousands of dollars over the life of a 30-year loan. One thing that can influence your interest rate is your credit score — it’s just one way for the lender to determine how likely you are to repay the loan. Well before you begin browsing properties online, take steps to get your credit score in the strongest possible position. Review your credit report and report errors immediately. Make on-time payments and put off opening new credit accounts until after the mortgage is finalized. Plenty of online services claim you can save money by completing the process without a real estate agent. But as many buyers discover, the savings don’t always come through as promised. In fact, going through this complex process without professional guidance can definitely lead to costly problems later. If you work with an agent, you’ll get to work with a pro who’s in touch with the local market and can lend a helping hand every step of the way. Their expertise can help you find that perfect house and help you craft the right strategy for your offer. When you find the right house, you may not be the only one making an offer on the property. That can be intimidating. But keep in mind it’s not always about coming in with the highest dollar amount. Buyers have different motivations to sell. Some may be in a situation where they want to close and move out as soon as possible. They’ll be less likely to work with buyers who have their own houses to sell, making first-time buyers more attractive candidates. Buying a Keller home is a big step, and in the heat of a seller's market, it takes extra patience and perseverance. 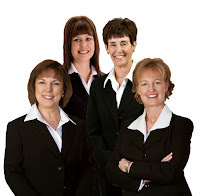 Find the right real estate agent to help you through the process, and moving day may arrive sooner than you expected. When the seasons change, the energy needs in your home change right along with them. And yet, whether you need to heat or cool your Keller home, there’s one thing that never shifts: You want to do so as efficiently as possible. An energy-efficient home is more than just good for the environment. It’s good for your pocketbook as well. By eliminating any unnecessary energy expenses you ensure you have more money to spend enjoying all the season has to offer. Get proactive about your insulation. Your home’s insulation is often treated with an out-of-sight, out-of-mind mentality, yet improvements here could dramatically support your home’s energy-efficiency. While insulation is commonly seen as a benefit to keep your home warm in the winter, it also works to keep cool, air-conditioned air inside as well. Your insulation needs depend, in part, on where you live, but it’s worth your time to research this opportunity. Check to see that you have sufficient insulation and make additions or replacements as necessary. Have your HVAC system serviced. A well-functioning HVAC system can have a dramatic impact on your home's energy-efficiency and now is the perfect time of year to have your unit serviced. During their visit your HVAC contractor will monitor refrigerant levels, clean the evaporator, the condenser and the coils as well as adjust the blower components. This should improve your unit's output, however, if your cleaned unit still cannot keep the house comfortable at a reasonable rate, you can replace it with a more energy-friendly model. Bring your windows into focus. The role your windows have in dictating the temperature in your home can be considerable. Older windows allow cool air to escape outside and that makes your air conditioner work harder to control the interior temperature. Replacing them eliminates this problem and sets you up to more easily retain heat during the winter. And if new windows simply aren't possible right now, you can also make a smaller, more immediate impact on your energy-efficiency by closing the curtains during peak sunlight hours. This helps keep the temperature of your home cooler and reduces stress on your HVAC unit. Consider alternative energy sources. Instead of simply focusing on what you can do with your current energy situation, expand your options to alternative energy sources as well. Installing home solar panels can drastically cut or even eliminate your electricity bills and even increase your home’s resale value. Improving your Keller home's energy-efficiency benefits you not only during the summer but all year long, so what are you waiting for? Start applying the tips above today and you'll see the benefits on each and every single energy bill going forward. From outdoor cookouts to dinner parties on the patio, summer is the ideal season for entertaining guests at your Keller home. According to a recent survey commissioned by Delta Faucet, an overwhelming majority of homeowners (89 percent) plan to host at least one summer gathering this season. To ensure hosts are well prepared, below are tips on how to throw a simple summer soirée. Subtle touches such as a fresh floral centerpiece help create a warm and welcoming ambiance. Design a floral arrangement with varying heights for the illusion of a fuller, larger table centerpiece without spending the time or money. As a bonus, create a foundation for your bouquet with foliage — like magnolia leaves — as the framework to provide a leafy contrast to your favorite flowers. Incorporate a blend of seasonal ingredients such as garden strawberries and fresh basil into gourmet treats for guests. Highlight fresh raspberries and lemon with a fruit-infused water or make a variety of berry and goat cheese toasts for sweet and savory flavors in every bite. For less time in the kitchen, goat cheese appetizers can be made in advance, so all you need to do the day-of is set and serve. To host your dream gathering without the stress, take advantage of the latest and greatest innovations. 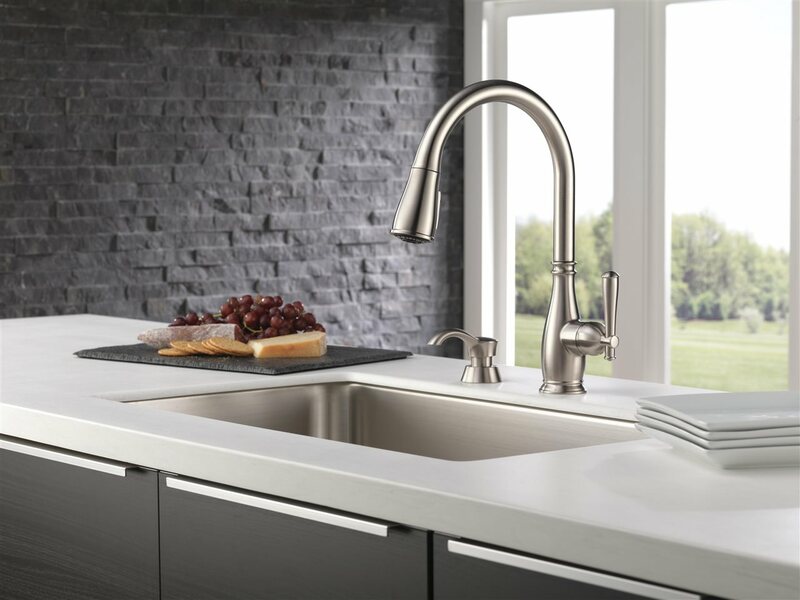 Expedite cleanup with modern faucet technology. Designed with a concentrated jet stream within a protective sphere of water, ShieldSpray Technology powers off grit and grime while containing mess and splatter. This way you can clean as you go to avoid dish pile-up; spend less time soaking, scrubbing and shirt swapping; and have more time with your guests. The perfect lighting can take your party décor to the next level, night or day. If you’re planning an evening event, use string lights or scented candles around the space to create a cozy environment. For daytime gatherings, hang details tailored to your party décor like foliage garland, paper lanterns or colorful ribbon. Make your Keller home a top summer destination. In 2017 alone, the U.S. was struck by 16 separate billion-dollar disaster events, resulting in a record-breaking $300 billion in damage, according to the National Oceanic and Atmospheric Administration. Thankfully, most Americans don’t experience large-scale natural catastrophes, but millions of homeowners do experience some kind of property loss each year and need to make an insurance claim. The most commonly reported homeowners insurance claims are actually the result of events that can occur at any time, so it’s important for Keller homeowners to be prepared for these potential risks. 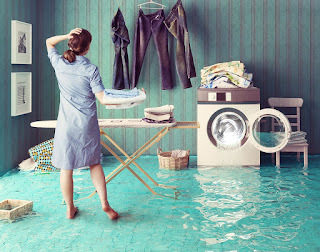 While certain perils are seasonal, water damage can occur any time of year. It’s important for homeowners to conduct routine maintenance of appliance hoses and water pipes to make sure there aren’t cracks or leaks and, if any are detected, have them repaired or replaced immediately. Another thing everyone can do to protect their homes from leaks is turn off their main water supply when they’re away for an extended period of time. No one wants to return from a relaxing vacation to find water running through their home. Smart home technology also delivers an extra layer of protection for homeowners by providing 24/7 monitoring to help detect water pipe leaks. Professionally installed water pressure sensors, for example, work with most smartphones and can, among other things, automatically shut off the home’s main water supply if a leak or burst pipe is detected. And the best part is that insurance companies like Mercury Insurance will often provide a discount for homes that implement this technology. Most homeowners insurance policies don’t cover flood damage caused by rising water from storms or overflowing bodies of water, so he recommends homeowners consult with their local insurance agent to learn how to protect against these types of events. While water claims are the most common, fire damage is another possible concern for homeowners and can be caused in several ways. The National Fire Protection Association reports nearly half a million structure fires occurred in 2016, resulting in $7.5 billion in property damage, and wildfires ravaged California in 2017, leading to one of the year’s billion-dollar disaster events. Most home fires happen when people are inattentive or negligent. These fires are preventable if people don’t leave things like lit stoves, fireplaces, candles or portable heat sources unattended. You should also refrain from overloading electrical outlets and using appliances with frayed electrical cords. These things seem like common sense, but it’s amazing how many claims we see that result from simply not paying attention. Wildfires can be extremely scary and dangerous and there is often little warning when they sweep through areas, leaving homeowners little time to protect their homes. Most of this work needs to be done before a fire erupts. Homeowners can mitigate against this risk by keeping their yards free of dry brush, grass clippings and twigs, keep tree branches trimmed and bushes pruned. They should also make sure their roofs and gutters are cleared of leaves and debris. Theft doesn’t necessarily pose a threat to the physical structure of a home, but it too can be costly and it often leaves homeowners feeling scared and violated. The FBI’s Universal Crime Report estimates 1.5 million burglaries occurred in 2016 — with residential properties accounting for 69.5 percent of these offenses. Keller Homeowners can help safeguard against theft by taking simple, but often overlooked precautions like ensuring doors and windows are locked, and not leaving spare keys in easy-to-find locations. Several smart home devices can also aid in deterring potential thieves by allowing homeowners to adjust lights, monitor security cameras and activate security systems from their smartphones even when they’re away from home.